Can you believe it? She's back with another new release and a complete change of genre. I'm talking, of course, about the wonderful Sally Quilford. Her new urban fantasy novella HIS BROTHER'S KEEPER is a real departure from her usual style of sweet romances. One thing I know about this talented author is that no matter what she writes - be it romance or be it crime - her work can be summed up in three words - great reading entertainment. In this guest post, she tells us what a change of genre can do for an author and what it did for her. Using up ideas for your writing is a bit like taking biscuits from a tin. If you just keep taking, and don’t replenish the tin, then eventually you find it empty. Then comes that awful hunger that I’m sure many writers like me feel when they desperately want to write, but can’t find anything to write about. This can happen when one sticks to the same genre all the time. I write mainly romantic intrigue and/or sweet romance, and I’ve done well with it. Sometimes it’s nice to take a break from that, to give ideas more room to grow. But if you’re like me, you hate being uncreative and are only happy when you feel that you’re producing something. So to carry on with the analogy of the biscuit tin, instead of having biscuits, maybe it’s time to try salt and vinegar crisps, or a nice juicy apple. Or to put it more plainly, shift genres and try something new. That’s what I’ve been doing lately. Finding that, for now at least, I’ve run out of ideas for romance, I decided to try something completely different. That led to His Brother’s Keeper, which is my first ever urban fantasy novella. The idea came when I had a dream of a vigilante called The Sandman, who fought justice in a small seaside town. The following morning, on Facebook, where I often bore people silly with my dreams, I scoffed at the idea. But it would not go away so I started to write it. As I thought more about it, the story took on a paranormal feel. Suddenly I had a whole new world to explore. Well, not completely new. Journalist Rachel Cohen, who has appeared in two of my long short stories, Valla’s Secret and Tomorrow’s Child, seemed like the perfect person to introduce my vigilante. And when I created him – his name is Gabriel Henchard – I realised he had a brother, but whereas Gabriel was an avenging angel, his brother, Nicholas, was the devil himself (with apologies to my own brother called Nicholas!). From what was to be a one off story about Gabriel, I found myself thinking in terms of a series. So, His Brother’s Keeper, is the first in a series about the battle between Gabriel and Nicholas – Good and Evil. It felt so good to finish it, because I’d had trouble finishing anything this year. I’m now working on another departure from my usual sweet romance; a pure crime novel set in 1916. 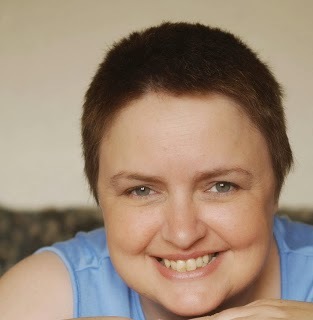 Again I’m using a character that I’d already created – Peg Bradbourne – who appears in several of my Midchester Memories novels. But whereas Peg is an old woman in the Midchester Memories, I have taken her back to her younger days as I thought it would be a great idea to chart how a spinster detective actually becomes a spinster detective. So maybe there will be a bit of romance in it, but it will necessarily be of the unrequited kind, though on whose side I’m not saying. That too will be a new departure for me, as I normally write happy endings, but a crime novel doesn’t necessarily have to end happily. The change of genre really has been as good as a rest, and I’m enthusiastic about writing again. That’s not to say I’ve hung up my romance novelist’s hat. Because when I get tired of salt and vinegar crisps and apples, I may want a biscuit or two again. When Rachel Cohen is sent to investigate the mysterious vigilante called The Sandman, she finds a man who insists that the small town of Angel Cove is due to be hit by an earthquake. She does not know if he's insane, but there is something strange about Angel Cove and the fact that the townspeople seem as if they're waiting for something and have been for a very long time. 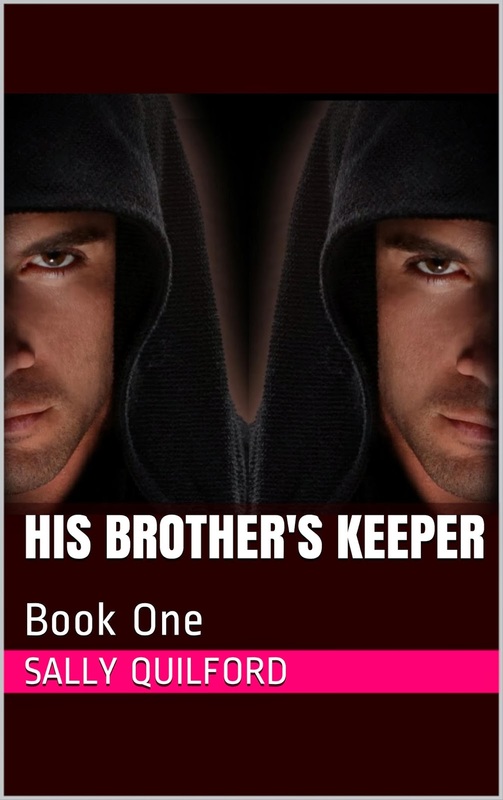 His Brother's Keeper is the first in a series of linked short novels featuring the brothers, Gabriel and Nicholas Henchard. Waffle! I believe you've found a great cure for writer's block! :) Thanks for coming to the blog today, Sally. That's a very interesting approach, Sally. I'm not sure I'd have the confidence to try another genre, but it sounds as if it's something that really works for you! Thanks Kate. As you know, I have a butterfly mind, so it works for me. But you have wonderful ideas for books anyway! Different things work for different people, wouldn't you say? Thanks for stopping by, Kate. Interesting post and well done for breaking out of your usual genre. I have started a piece out of my comfort zone after Patsy Collins challenged me to do so! The change makes it exciting but I find it a steep learning curve. Yes, it is that, L! But it's also great to feel excited about writing again, isn't it? Good luck with your project! Excellent as always, Sally. You're an inspiration to us all! Great post, Sally and I agree with Sue's comment above. I've begun 'something creepy' and can't wait to get back to it once the house is our own again - not taken over by aliens but roof tilers are at work. I'm hoping I can continue this project in conjunction with revising first instalment of a serial. Fortunately I've never been stuck by the dreaded block, but then I do write occasional pieces in a different genre so perhaps that's why. Great news, Terri! You're a great writer so I think you could do anything you set your mind to! It's an interesting idea about a new persona and I must admit that I've wondered whether to use a different name for my Peg Bradbourne Mysteries, but as she appears in my Midchester Memories books I'm not sure it would make sense. People would think my alter ego stole her! Ooh, roof tilers who turn out to be aliens. There's an idea! ;_) Thanks Toni! I always used to, Patsy, but then I started having so much good luck with the romance, I tended to stick to that, but whereas in previous years I've managed 3 or 4 romantic novels, this year I've only completed one, and found it hard to stick to others that I started. So I was definitely ready for a change. I love to feel excited about writing. It's one of the best highs I can think of. I do agree, Sue, thanks for your visit and comment. And Miriam, thank you for stopping by the blog today to join us. This is becoming extremely interesting. I think it's true to say that changing your genre - or maybe occasionally writing out of your comfort zone - does seem to give your writing life a shake-up. Ida Pollock, who recently died at the great age of 105, had ten different pen names. She was very prolific and I think different pen-names are the way to go for prolific authors who want to try lots of different styles. I think I need to try try different genres a little more. I think sometimes thinking about it too much before you start is a little scary, but I read lots of different genres, so why not. Best wishes for your book!! No harm to give it a try. Thanks for your support, Pk. Great to see you over here. An inspirational post, Sally. Thanks for sharing. Thank you Maria! Congrats on your new release, Sally! Congrats also on changing genres;). Best of luck with His Brother's Keeper! Why not indeed! If you enjoy reading a genre, chances are you'll enjoy writing in that genre too. Thank you, PK! I hadn't looked at it as growing as a writer, but yes, it does help. It also gives you respect for what other genre writers are doing.